As we continue to highlight the new sires of 2018, our attention turns to a record-setting son of Medaglia d'Oro who raced in Australia. Astern not only won his debut as a 2-year-old at Randwick but followed it up with a Group 2 victory in the Silver Slipper Stakes at Rosehill. The colt went on to collect three more graded stakes wins during his nine-race career, including a record-breaking performance in the G1 Golden Rose, Australia's version of the Allen Jerkens Stakes. Bred by Darley to an Exceed and Excel mare, Astern registered the highest Timeform rating by a son of Medaglia d'Oro (126). Astern retired with five wins, a pair of seconds and close to $900,000 in earnings. He stood his first Southern Hemisphere season as a Darley stallion at Kelvinside Farm in New South Wales, Australia. He is currently standing at Jonabell Farm in Lexington, Ky., for the 2018 breeding season. “Medaglia d'Oro has been such an important stallion for us in both hemispheres, and as his best son, Astern has all the credentials to follow in his father's footsteps,” said Darren Fox, U.S. sales manager for Darley, about Astern shuttling to America. Astern is breeding a limited book of 120 mares at Jonabell for a fee of $15,000 stands and nurses. Astern ITS from EquiSport Photos on Vimeo. 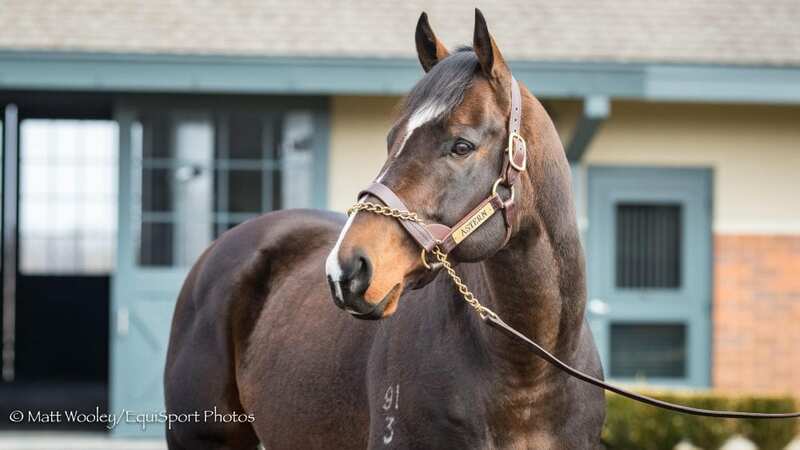 This entry was posted in Bloodstock, In The Stud, NL Article and tagged astern, darley, EquiSport photos, Freshman sires, in the stud, kentucky equine research, KER, medaglia d'oro, sires, Stallions, Thoroughbred breeding by Paulick Report Staff. Bookmark the permalink.